and also provides engine and aircraft systems component overhaul and repair services for airlines around the world. B&E Precision Aircraft Components is an industry leader in precision aerospace manufacturing, located at 10 Hudson Drive in Southwick, Massachusetts. B&E was established in 1950 in Westfield, Massachusetts before moving to its present location. We currently employ a team of skilled and dedicated associates working two shifts around the clock, which includes a full support staff of inspection, machinists, engineering, and other technical personnel. D&S Manufacturing is an AS9100 high precision prototype-to-production manufacturing company with extensive experience in the manufacture of critical components used in guidance, optical, and targeting systems; or in an application that requires uncompromised confidence in quality and reliability. Our skilled team members take great pride in their work and in the company. Our culture of customer service and continual improvement is reflected in the quality of the products we produce. is centrally located just off the Massachusetts Turnpike (Exit 3) in Westfield, MA. Our MRO team, branded as Safe Aviation Solutions, is comprised of three repair stations located on the west and east coasts of Florida. We provide services that cover a wide spectrum of engine and airframe MRO capabilities including over 20 ATA chapters encompassing fuel, hydraulics, pneumatics, and power generation components. We have a strong engineering capability that has developed over 700 DER repairs that provide cost effective and innovative repair solutions for our customers. 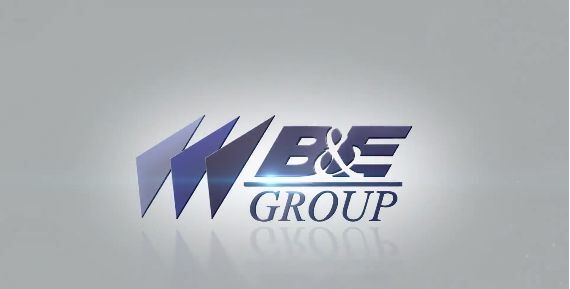 The B&E Group was established in 1950. Headquartered in Southwick, Massachusetts, the group consists of six separate but integrated companies; three of which specialize in precision manufacturing, heat treatment, brazing, and non-destructive testing; And three that specialize in providing engine and airframe component maintenance, overhaul, and repair (MRO) services. Collectively we are the employer of choice for more than 300 of the most talented machinists, programmers, engineers, technicians, and inspectors in complex precision manufacturing and MRO services. We differentiate ourselves through our outstanding associates and their dedication to customers around the world. Every day they deliver the industry’s highest levels of quality, precision, reliability, and award winning customer service. We provide these customers with a manufacturing capability that is second to none in the industry. We specialize in working with the latest high-tech and exotic materials to tolerances as low as .000020. In addition to machining, the company has capabilities that include electropolish, induction brazing, vacuum brazing, stress relief furnace, air and fluid pressure testing up to 10,000 PSIG. Our MRO companies consist of three repair stations that provide a range of airframe and engine component overhaul and repair services.